The logo service marks and trademarks of Walker Homes Ltd and its affiliates are owned exclusively by Walker Homes Ltd. All other trademarks, product names and company names or logos cited herein are the property of their respective owners. This Web site is owned and operated by Walker Homes Ltd and is for the personal, non-commercial use of the User. The User may not modify, transmit, display, perform, reproduce, publish, license, create derivative works from, transfer or sell, in any way, information, documents, graphics, software, products or services (‘Materials”) obtained from this Web site, except that user may view content in its present form and user may download on any single computer one (1) copy of the materials for personal, non-commercial home use, provided the user keeps intact all copyright and other proprietary notices. The use of any materials on any other Web site or networked computer environment is prohibited. User recognizes that unauthorized use of Web site content may subject user to civil or criminal liability. 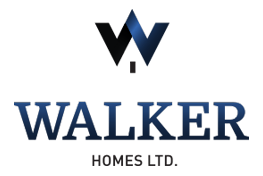 This web site (excluding linked sites) is controlled by Walker Homes Ltd from its offices within the province of Ontario, Canada. By accessing this web site, you and Walker Homes Ltd agree that the statutes and laws of the province of Ontario, without regard to the conflicts of laws principles thereof, will apply to all matters relating to the use of this Web site. Those who choose to access this site from other locations do so on their own initiative and are responsible for compliance with local laws, if and to the extent local laws are applicable. This site may include technical inaccuracies or typographical errors. Information on this site and any products or services to which this site refers may be changed at any time without notice. Walker Homes Ltd does not warrant that the functions contained in its Web site materials will be uninterrupted or error-free, that defects will be corrected, or that this site or the server that makes it available will be free of viruses or other harmful components. Walker Homes Ltd makes no representations whatsoever about any other Web site which you may access through this one. Such linked sites are not under the control of Walker Homes Ltd, and Walker Homes Ltd is not responsible for the contents of any linked site or any link contained in a linked site or any changes to such sites. Such links are provided only as a convenience, and the inclusion of a link does not imply Walker Homes Ltd’s endorsement of the linked site. Links to this Web site should not be made without the permission of Walker Homes Ltd. All such materials are provided “as is” without warranty of any kind, either express or implied to the fullest extent permissible pursuant to applicable law, and Walker Homes Ltd hereby disclaims all warranties and conditions with regard to the materials, including all implied warranties and conditions of merchantability, fitness for a particular purpose, title and non infringement.